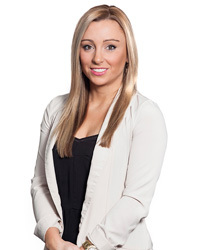 Brittany is a Recruitment Consultant with a keen sense for seeking out high performance professionals. Her interest in furthering recruitment as a career path began in a working term with Medavie Blue Cross. Brittany has the ability to quickly develop and build strong relationships with clients, colleagues and her community which makes her an asset to the Meridia Recruitment team. Brittany is a proud graduate from Saint Francis Xavier University where she graduated with Distinction in 2012 with a Bachelor of Business Administration. She also attended Ryerson University for a certificate in Human Resource Management. Currently, Brittany is working toward obtaining her RPR as well as CPHR Designation. Brittany is passionate about her community and giving back. She has been a strong supporter and volunteer for Big Brothers Big Sisters as well as Best Buddies. She is currently a member of the Human Resource Professional Association as well as the Human Resources Association of Nova Scotia, building a strong, professional presence. Brittany has a love for the ocean, boating, hiking, fitness, traveling and spending time with friends and family.